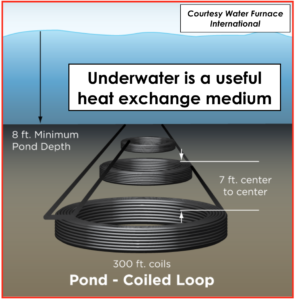 What’s the most efficient thermal technology for space heating, cooling, and water heating? 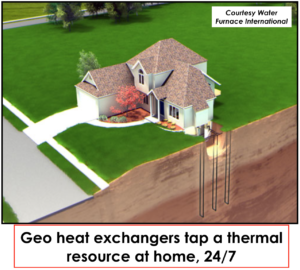 It’s a geothermal (or ground source) heat pump (GHP). Long ago recognized by the EPA as holding this title, the heat source’s / heat sink’s thermal energy available to a GHP is free, renewable, sustainable, and available everywhere under our feet. That means your property can be your thermal battery, providing heat you want (winter) and rejecting heat you don’t want (summer). Your heat pump represents the connection to this battery. It uses electricity to transfer up to six times the energy it consumes. Solar and wind power are the largest contributors to the nation’s renewable generation mix. They continue to grow, and their costs continue to drop. Solar deployment is becoming so cheap that it has already beaten coal and nuclear technology’s means of generating electricity. And while neither solar nor wind can be a 24-7-365 certainty for full production, grid-scale electric power storage (in batteries) is exploding in both the U.S. and abroad to smooth any delivery gaps. Although they don’t generate electricity, GHPs displace its use, which means more of what we need can come from the earth’s thermal “battery” which is available on all land, under water, and in a variety of other places like wastewater treatment plants. The benefit of GHPs is not restricted to a few rare locations (like geothermal hot rocks or steam) but are everywhere, under our feet. With increasingly green electric “fuel” to run them, GHPs tap electric infrastructure already present to make the most out of on-site renewable thermal resources without generating any emissions. If you’re in a hurry to be completely green ahead of the coming grid transition, you can use on-site solar PV (at home). 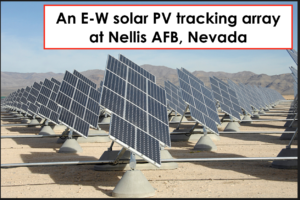 This was done at the Quincy Zero Net Energy House in northeastern California.